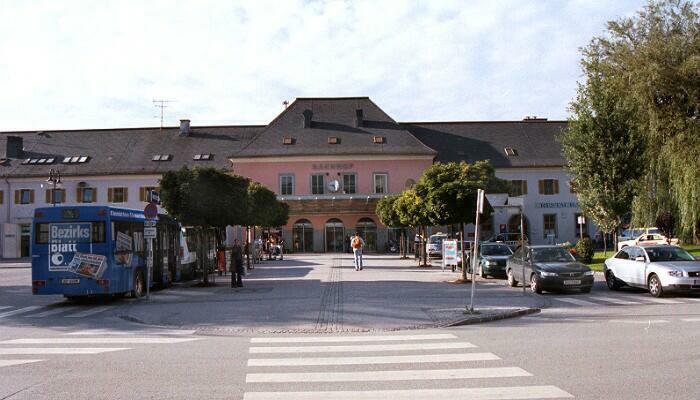 ÖBB station at Wörgl from the road. 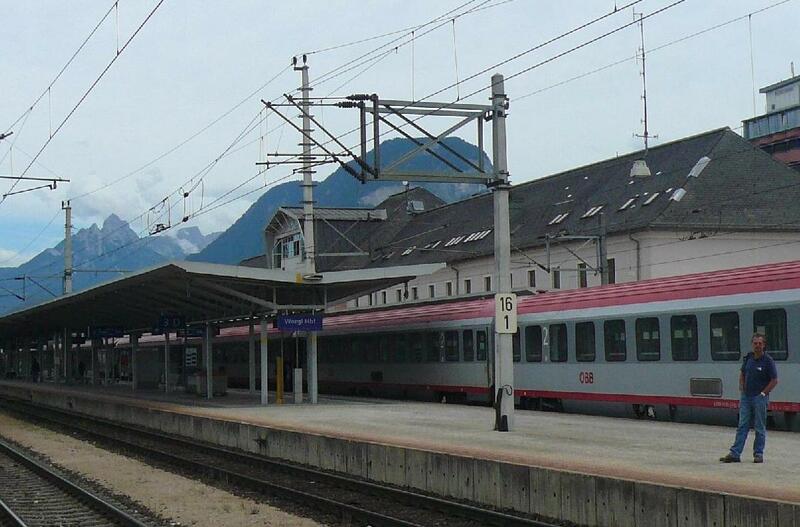 The ÖBB station at Wörgl on Thursday September 30th, 2004 with train R5261, 10:25 to Fieberbrunn waiting in platform 2. Thursday September 20th, 2001. 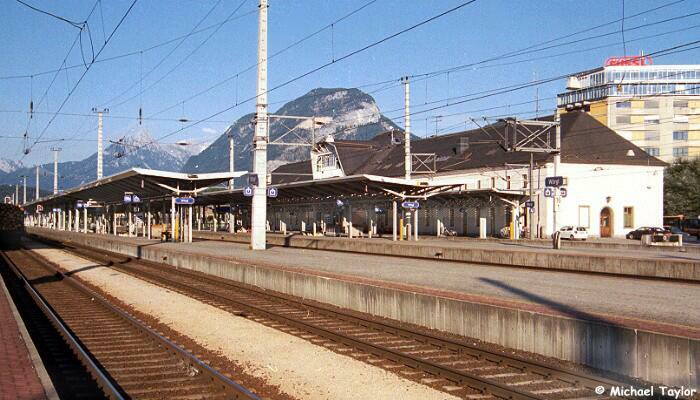 Wörgl is the junction for the all-Austrian line to Salzburg from the Innsbruck-Kufstein line. 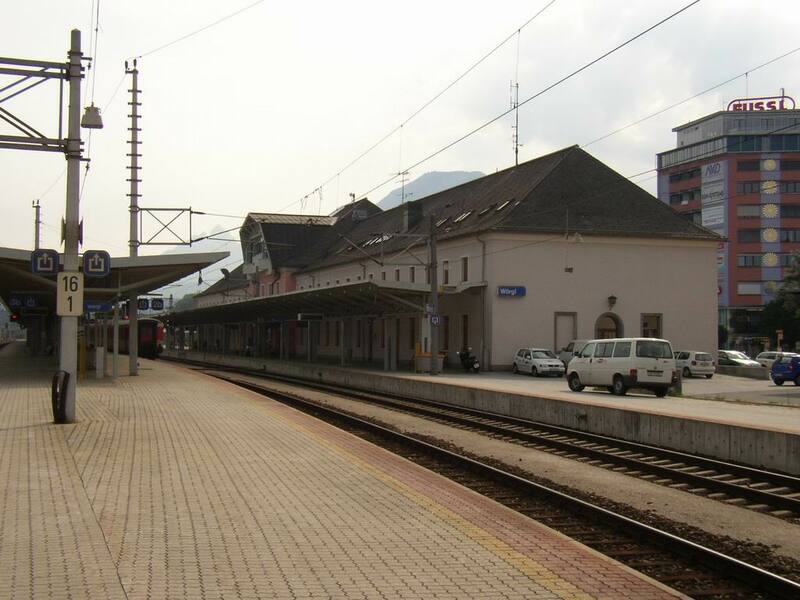 Stazione di Worgl. 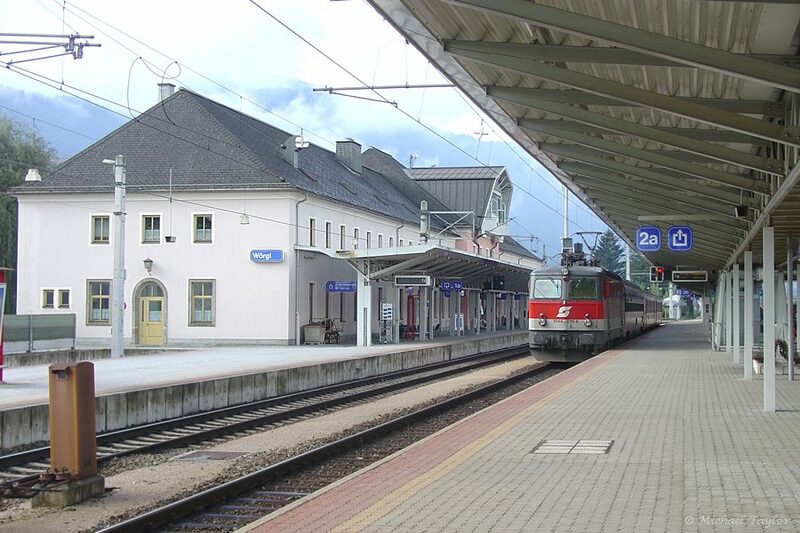 Worgl station.